According to a recent report by the Daily Mirror, Chelsea are plotting a move to secure the services of LOSC Lille winger Nicolas Pepe. However, they will only be able to sign the player if their FIFA transfer ban gets lifted. The same source has also revealed that the Pensioners have lined up the Ivory Coast international as a potential replacement for Eden Hazard who has been heavily linked with a switch to Real Madrid this summer. Hazard has been Chelsea’s best player over the past few years ever since he settled into the Premier League after his big-money transfer from Lille back in the summer of 2012. However, it now seems like his time at Stamford Bridge is nearing an end, especially if the West London outfit misses out on a top 4 finish at the end of this campaign. Is Pepe Good Enough To Replace Hazard At Stamford Bridge? Pepe could be an ideal replacement for the Belgian international as he has enjoyed a fantastic campaign in the French top-flight thus far. The Lille wonderkid has made some match-winning contributions at Stade Pierre Mauroy during this campaign which has helped the club climb to the second spot of the Ligue 1 standings. The 23-year-old has scored 20 goals while creating 14 assists in 35 matches for Christophe Galtier’s side this term across all competitions. The Mantes-la-Jolie born prospect has represented Ivory Coast in 11 international games while registering four goals in the process for his nation. What Does The Ivory Coast Sensation Offer On The Pitch? The Ligue 1 sensation is blessed with blistering pace and can dribble with the ball out in the wide areas to cause a lot of problems for the opposing defenders in the final third. Pepe has also added goals and assists to his game which goes to show how quickly his stock has risen in French football. Is Pepe A Good Fit At Stamford Bridge? At 23, Pepe has his peak years ahead of him and his numbers this season are better than Hazard’s even though the Ivory Coast talent is arguably playing in a less competitive league. If Maurizio Sarri is willing to reinvest the money generated from the potential sale of Hazard, then there might not be too many better players available in the transfer market than Pepe who seems more than capable of filling the Belgian’s shoes at Stamford Bridge. 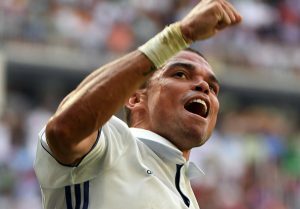 Pepe will be a good fit for Sarri’s style of play at the West London club as he has all the attributes to cut the mustard and be a success in the English top-flight. Brighton & Hove Albion Readying A Move For This Exciting Chelsea Youngster: Can Hughton Pull This Off? Chelsea Looking To Offer An Exit Route To This Euro Winner: A Shrewd Move By Conte?